If you’ve been shopping around for skincare and noticing, somewhat suddenly, that almost every moisturizing product on the shelf lists hyaluronic acid as a star ingredient, congratulations. You are very observant. Additionally, if you are left not really knowing what that means, don't worry. You are not alone. Hyaluronic acid (or HA for short) is a sugary molecule ("clear, sugary goo," according to the New York Times) that occurs naturally in skin’s structure and connective tissue throughout the body. It helps lubricate your joints and keep things full of moisture so they stay in the right shape in the right place. So, it’s already in me? Yes! You’ve got it. And the cosmetic world has known about it for a while, too. Chances are you've been using products chock-full of HA for years now without knowing it. Don't freak out—that's a good thing. Why is hyaluronic acid so important for my skin? Hyaluronic acid has the greatest ability to retain moisture out of just about anything: close to 1000 times its weight in water, to be specific. And if moisture is the essence of wetness and wetness is the essence of beauty, then you want to make sure your hyaluronic acid is holding on to as much wetness as it possibly can. Of course, as skin ages, it loses its natural ability to retain moisture. Lest we all give in to gravity, adding hyaluronic acid to your skincare routine can combat the general sag that afflicts us all. Can hyaluronic acid be applied topically? You betcha. For a long time, HA molecules were too large to properly penetrate skin's surface so results were limited—mainly to really good moisturizing. But science marches on and now there are plenty of offerings with lower molecular weights that can make their way through skin's layers and temporarily plump you up while also moisturizing the top layer of skin. OK, but what’s the deal with injectables? Ah ha—so you've done your research. The collagen injectibles of yore were not that good: They required allergy tests and didn't last very long. So they were taken off the market and replaced with HA injectibles. Ever heard of Juvéderm or Restylane? That's hyaluronic acid. They're safer (no allergy test required) and offer much more customizable results. Chances are, you know people who have some of this, but it's so subtle, you don't even notice. How's that for a sales pitch? Do you have any (topical) products you recommend? Obviously. 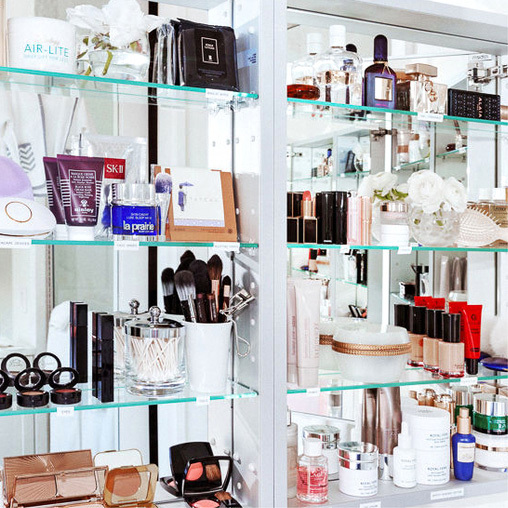 Glossier HQ has four mainstays and a couple of honorable mentions. We've limited them to serums for a couple of reasons. That's the best way to get the molecules deep inside the skin. And secondly, it means the products are by and large simpler. Less to keep track of. Hydraluron Moisture Serum: A gel with a silky finish, this product relies on sodium hyaluronate, which is HA by another name. And what it says is what you get: pure, unadulturated hyaluronic acid. Ling Replenishing Hydrator: For when you want to moisturize and also soothe the living daylights out of your skin. This water-like serum pairs HA wih rosewater, which is good for any irritation or redness. Hada Labo Replenishing Hydrator: Similar name to the aforementioned, but with three (count 'em) different types of HA—hydrolyzed hyaluronic acid, sodium acetylated hyaluronate, and sodium hyaluronate. For when you really want to make sure your skin is getting it. Pestle & Mortar Pure Hyaluronic Serum: We love this one so much, we gave it its own review more than a year ago. Simple, but effective, this serum pairs HA with aloe and vitamin E for smoother than smooth skin. Paula's Choice Resist Hyaluronic Acid Booster: This one's at the center of a lot of trends. It's a serum, but it's also a gel. 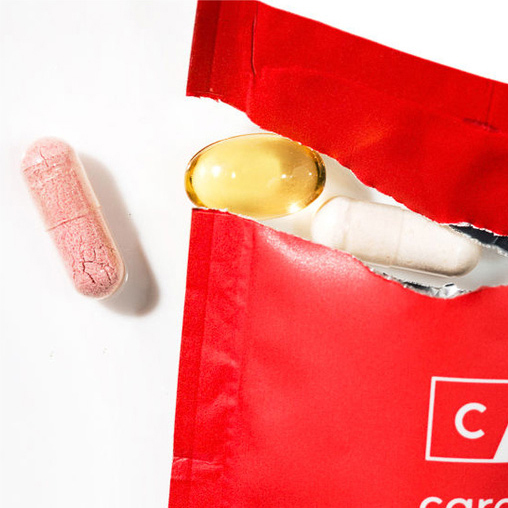 It's a hydrator, but it's also an anti-aging product. It's good at sticking to its claims, and even moreso if you add it to another moisturizer as a true "booster." Skin Inc Hyaluronic Acid Serum: People with oily skin need moisture, too! This one's for you. Little capsules inside the serum break to release active ingredients upon contact with the skin. That's why you only need to worry about moisturizing and not about whether your serum is expired. One less thing, right? That was fun, right? Let's delve deeper into our beauty product understanding with ITG's Ingredients to Know.